Because of family needs I didn't get to read in Mount Vernon last night after all. I'm sorry to have missed seeing co-features Lennart Lundh and Andy Roberts but happy that Dianne Borsenik was able at the last minute to fill in for me and promote her new Crisis Chronicles Press chapbook Thunderclap Amen. Hopefully I'll have another opportunity to read down there soon, maybe after NightBallet Press publishes my new chapbook, Beat Attitude, in the fall to correspond with BeatStreet Cleveland 2015. I have the privilege and pleasure of reading this Tuesday, April 28th, 6:30 p.m. at Sips Coffee House, 101 S. Main Street in Mount Vernon, Ohio. The other featured poets will be Ohio's Andy Roberts and Illinois' Lennart Lundh. David Kender will be the evening's featured musical performer. Ohio Poetry Association Vice President Mark Hersman will host. For more information, please click here. Happy birthday to Alex Gildzen! His complete Ohio Triangle published! Crisis Chronicles Press is thrilled to present a new masterwork by the legendary Alex Gildzen, inspired by his rich experiences in three Ohio cities: Elyria, Cleveland and Kent. Ohio Triangle is 75 pages, perfect bound, featuring many of his best poems and a handful of color photographs. Officially published on 25 April 2015 to celebrate National Poetry Month and Gildzen's 72nd birthday, Ohio Triangle is now available for $10.99 from Crisis Chronicles, 3344 W. 105th Street #4, Cleveland, Ohio 44111 USA. ISBN: 9781940996196. "Alex Gildzen rushes to the heart with the clearest of memories, tacking them to our own with perfectly wrought images from his own life and calling out real people from the shadows of the past. His work glows with the power of a master poet. There is not one word in this book that doesn't ring true. Be glad. You can share a remarkable vision in this book that echoes through time every time Gildzen fixes his focus on his Ohio Triangle." 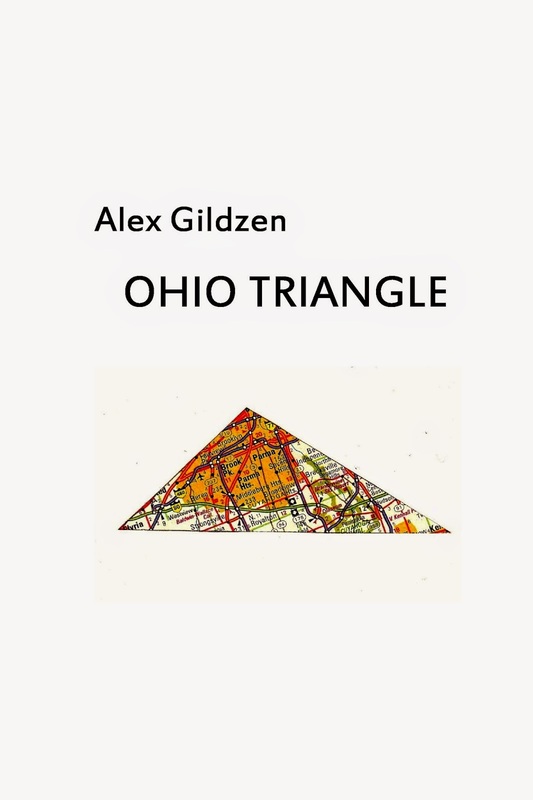 "Just as any 3 non-collinear points determine a unique plane, so Alex Gildzen's 3-part book of chiseled poems defines and explores the unique plane that is Gildzen's life in three different cities in Ohio. Here is a triangle considered in the context of the space-time continuum, where people, places and things combine to bring the past into the present and the present into the past. 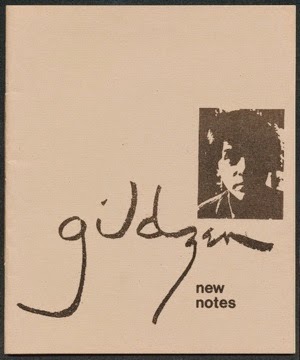 It is in the dimension of time, the loving remembrances and the sad recognition of the inevitable future of each person, place and thing within Gildzen's triangular plane, and by extension, within the reader's own unique plane, that brings warmth and heart to this multifaceted diamond of a book." "I was first introduced to the work of Alex Gildzen a few years back now and out of everything I've read, this latest collection, Ohio Triangle, is without a doubt the most touching look into the memories that make up his highly colorful life, so much so that I almost teared up at several points, because this is the way we all want to be able to look back on things, on a life well lived, only, Alex has been able to put it into words in a way that feels immediately relatable and effortless, as the passing of time should be." He was born in California, first walked in Texas and now lives in New Mexico but Alex Gildzen spent the majority of his life as a resident of Ohio. He was two weeks old when he arrived in Lorain. When his father returned from the war in Europe the family moved to Elyria. He began visiting Cleveland as a child. Following graduation from Elyria High School he went to Kent State University where he was student, teacher and librarian. In 1993 Kent presented him with the President’s Medal for “extraordinary and unique service” to the university. The same year the Ohio Arts Council honored him with the Ohioana Citation in the field of humanities and education. 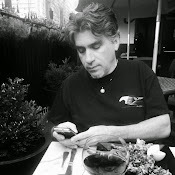 To learn more about Alex, visit the Literary Underground wiki and follow his Arroyo Chamisa blog. Let's hang out in Canton on Friday night. Buzzbin is a supercool place, and when I was there last year, I thought, "Someone needs to have a poetry show here." Now it's happening. On 24 April, Writing Knights will be featuring several young talents including Columbus poet Jonathan Thorn, whose chapbook Cutting the Möbius was recently published by Crisis Chronicles Press. What's the buzz? Come find out. Thanks to the Cuyahoga County Public Library and Diane Kendig for selecting my poem "Disciples" to be featured today for ‪#‎readwritepoetry‬. 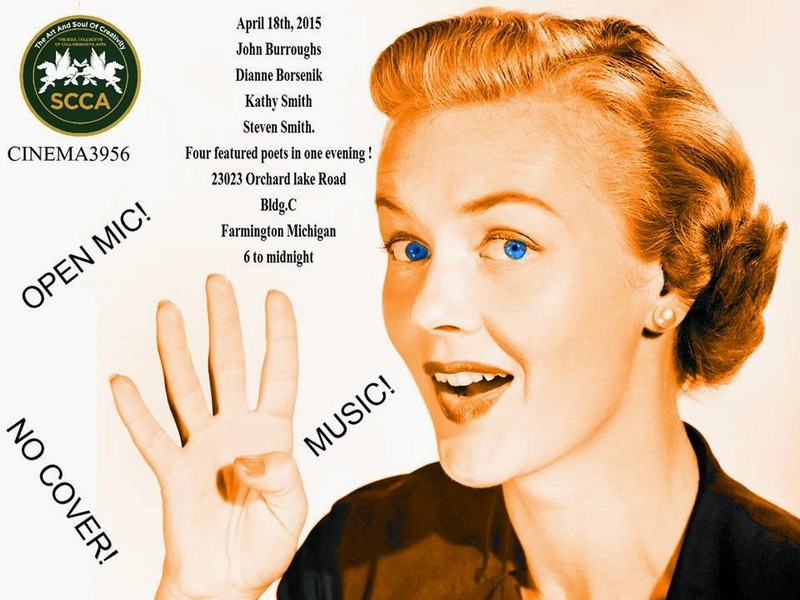 I mentioned a few blog posts ago that Smith, Lady, Borsenik and I will will be colliding with Cinema3956 this Saturday evening (18 April) from 6 to midnight in the Detroit suburb of Farmington. I didn't know it then, but Borsenik and I will be performing another gig on the way there. We'll be joining the Toledo contingent of 100 Thousand Poets for Change for a reading at Artomatic 419 (located at 600 Jefferson) from 2 to 4 p.m. Thanks to Jonie McIntire for inviting us. I've performed at a few Artomatics in years gone by and it's always a cool place to be. So you've probably heard by now, on Facebook, by word of mouth or over at Cleveland Poetics, that I've been enlisted to do this year's 2015 Hessler Street Fair Poetry Anthology. Or maybe you haven't. This is a big deal to me. 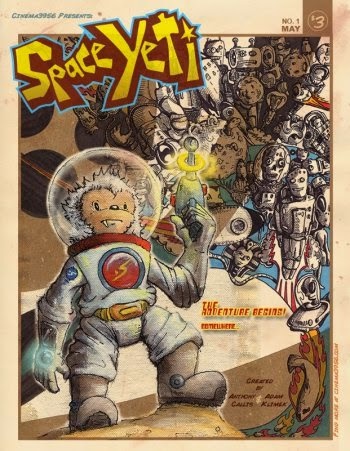 The very first poetry reading I ever went to was at the Barking Spider during the 2008 Hessler Street Fair. And I think I've been a contributor to four of the annual anthologies since then (when Joshua Gage was the editor). But the Fair was founded in 1969, and has been a grand tradition since long before I came on the scene. Anyway, I'm taking submissions from now until April 20th 2015 and so far I've received some phenomenal work. If you want to be considered for inclusion in the book, or participate in the corresponding poetry contest, please send up to five poems, preferably in a Word document, to me at hesslerpoetry@crisischronicles.com. I will respond by the end of this month. If you are selected as a contributor, you will be invited to read your chosen poem Wednesday May 13th at Mac's Backs in Cleveland Heights. That evening, three readers will be selected to win modest cash prizes. Competing is not required for inclusion in the anthology, but you are welcome either way. The three winners will be expected to read their poems at the Fair (broadcast live on WJCU) on Saturday May 16th. Ray McNiece will be our guest host this month. Christine Howey and Lee Chilcote will be our featured poets. Open mic will follow. Lee Chilcote is editor of Fresh Water Cleveland and a freelance journalist whose work has appeared in many publications. He has a master's in English and Creative Nonfiction from CSU, and his essays and poems have appeared in Whiskey Island, Paddlefish, Steamticket, Belt and other publications. While studying at CSU, he won the Leonard Trawick Creative Writing Prize for nonfiction writing. He was also the second place winner in the 2014 Lakeland Community College poetry writing contest and a finalist in the 2014 Best Cleveland poem contest. He is a former board member of the late, great Poets and Writers League of Greater Cleveland and the Lit, and is interested in building community through writing and building a community of writers in Northeast Ohio. Lee has taught writing at Cuyahoga Community College, Cleveland State University and through the Cuyahoga County Public Library. He created and leads a local author book club called Read Local. 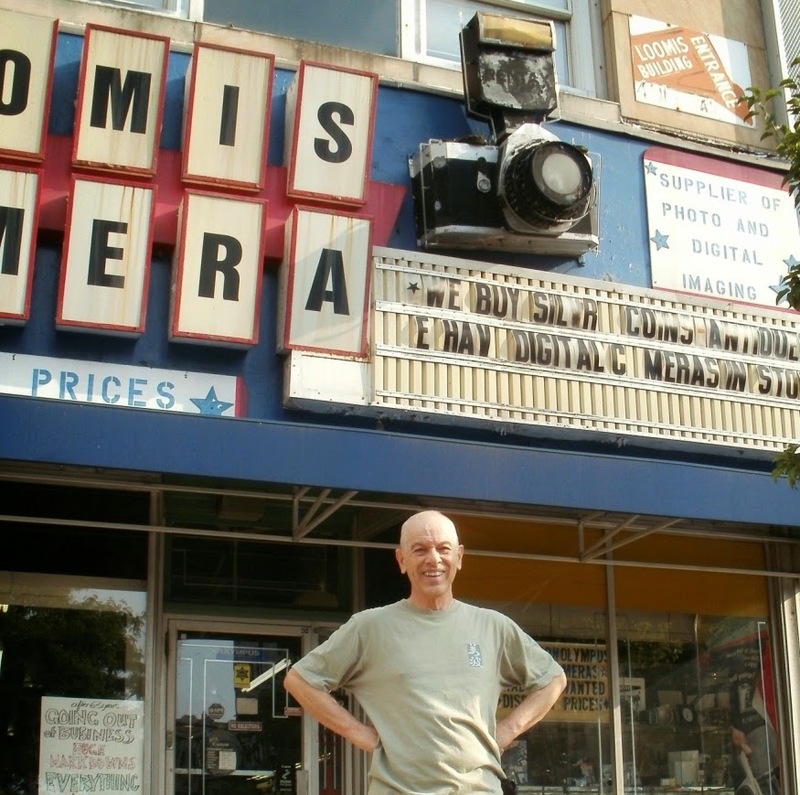 He hosts a Facebook page, Literary Cleveland, to market readings and literary events. Lee was a finalist in the 2015 Accelerate civic pitch competition, sponsored by the Cleveland Leadership Center. Together with Amy Rosenbluth of Lake Erie Ink, he aims to create a literary unconference in downtown Cleveland this summer. Contact him to get involved. Christine Howey is a performance poet and her one-person show of poetry, Exact Change, had its world premiere at Cleveland Public Theatre in January, 2014. Also, it is scheduled to have a two-weekend, four-performance run at Playhouse Square in downtown Cleveland on June 12-13 and June 26-27, 2015. Her chapbook, If You Find Yourself Submerged in a Pond Under Ice, was published in 2011, as was an art book of her poem Inside, Out. Her poems have appeared in Pudding Magazine, Star Line and Muse, and in the anthologies What I Knew Before I Knew, Mercury Retrograde, While You Were Sleeping I Dreamt a Poem, Open Earth and multiple Hessler Street Fair poetry anthologies. Christine is the theater critic for Cleveland Scene, in addition to posting reviews on her blog, Rave and Pan. She has been named Best Critic in Ohio by both the Press Club of Cleveland and the Society of Professional Journalists. Christine has had numerous articles published in The Plain Dealer, Northern Ohio Live magazine, Cleveland Free Times, Newsweek/Daily Beast, NBC News, Dame and many other publications. She is a former stage actor and director, primarily at Dobama Theatre in Cleveland Heights. "The Soul Collective of Collaborative Arts will host some of the area’s most talented poets and artists at an April 18 benefit for S.O.U.L. Source of Universal Love, a Farmington area charity. Callis and Klimek will display a gallery of their artistic works, along with video, and other multimedia creations. 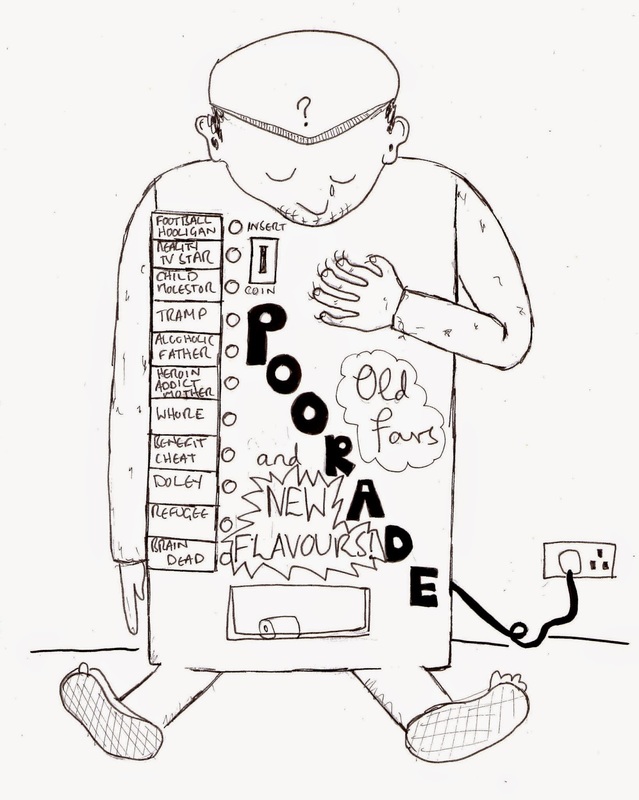 The poets will & read from their latest works and discuss their most recent projects. Admission is free; voluntary donations will be accepted." Thanks to William B. Burkholder for inviting us! RSVP to Cinema 3956 and Cleveland Collide on Facebook or just show up.